Glorious gables estates! Every detail is meticulously executed in this magazine quality home. 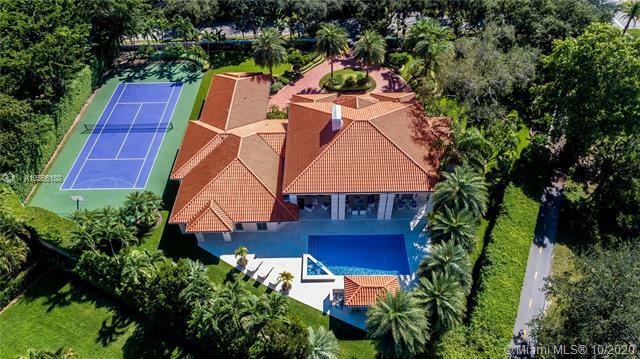 The gated acre property in prestigious gables estates w/ illuminated & beautifully landscaped yard, north-south tennis court & basketball & wide covered terraces is turn-key in every respect. 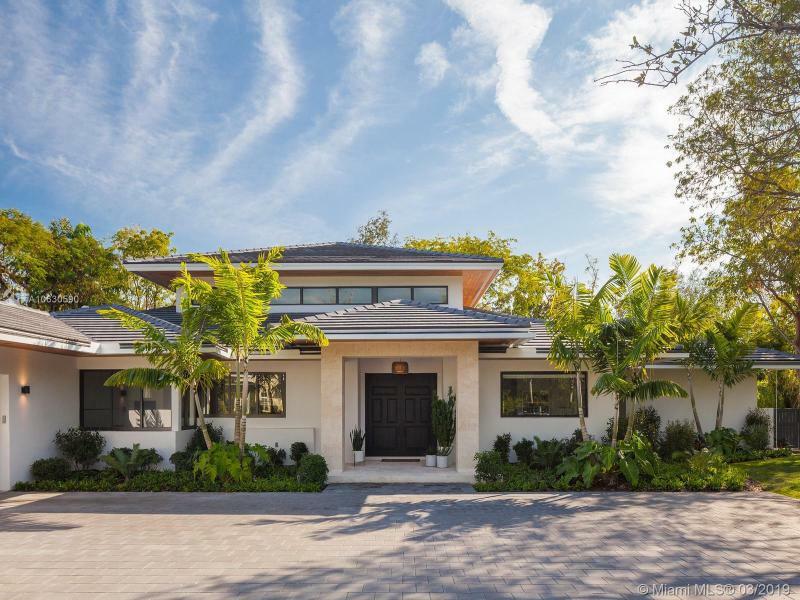 The inviting summer kitchen, set next to the sparkling pool & surrounded by mature trees/palms is ideal for enjoying miami 's outdoor lifestyle. The home 's exquisite interiors have spacious & elegant social areas, a modern gourmet kitchen opening to a bright & spacious family rm w/ built-in bar all with magnificent pool & garden views. Unwind in the dreamy master suite with custom closets, dressing area & opulent marble bath w/ infinity tub. Formal living & dining, private bedroom suites, staff room & garage. Situated in prestigious, guard gated stonegate, this beautiful and charming one story home is a rare find. Remodeled to perfection in 2018 the renovation features 15 high ceilings, impact doors & windows, brand new kitchen with sub-zero, wolf and miele appliances, security cameras throughout , 6 zone sonos audio system, nucleus intercom system and designer finishes throughout. Covered terrace overlooks brand new pool and gazebo with a full outdoors kitchen. Home sits on a 28,575 sf lot & has back and front yard spaces for kids to play. Amazing floor-plan for easy living. A must see! Builders' dream property. Build a luxurious estate on 1. 6 acres overlooking sunken rock garden, studded with oaks at one of coral gables most prestigious addresses.